The Contemporary Brass Floor Lamp is a luxe industrial piece that will add cool sophistication to your home. Perfect for those who are on the hunt for a bold and decorative floor light that is like no other. Featuring an angled directional cone shade, brass stand and rounded brass base the Contemporary Brass Floor Lamp is a stylish piece that is perfect for lighting up your statement armchairs and sofas. 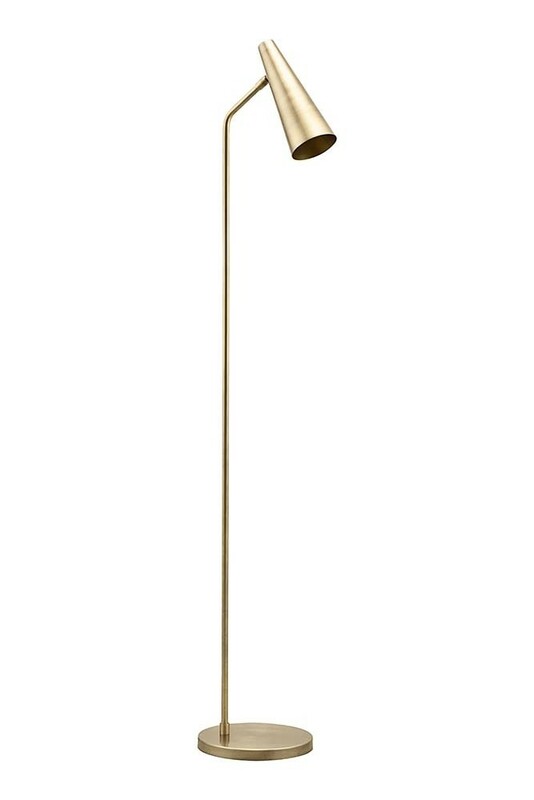 The Contemporary Brass Floor Lamp measures 124cm in height and is made from iron with a brass finish. 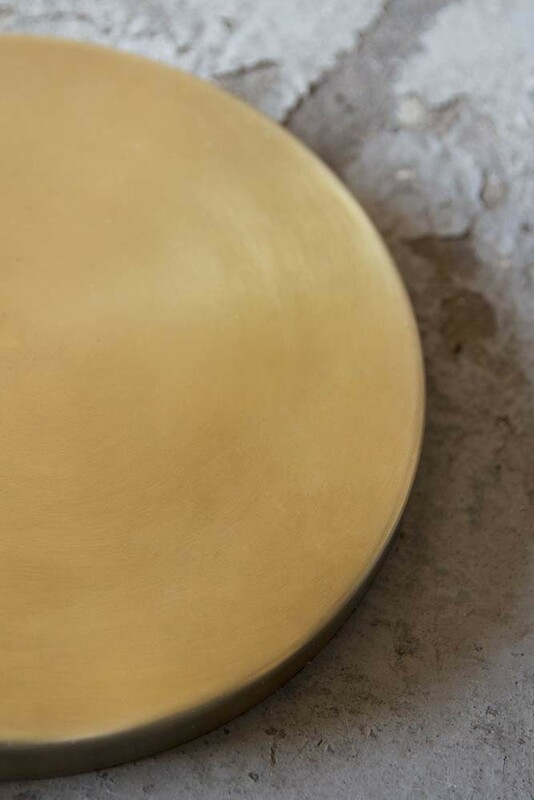 Add a touch of sophisticated metallics to your interiors with this stylish brass floor light. 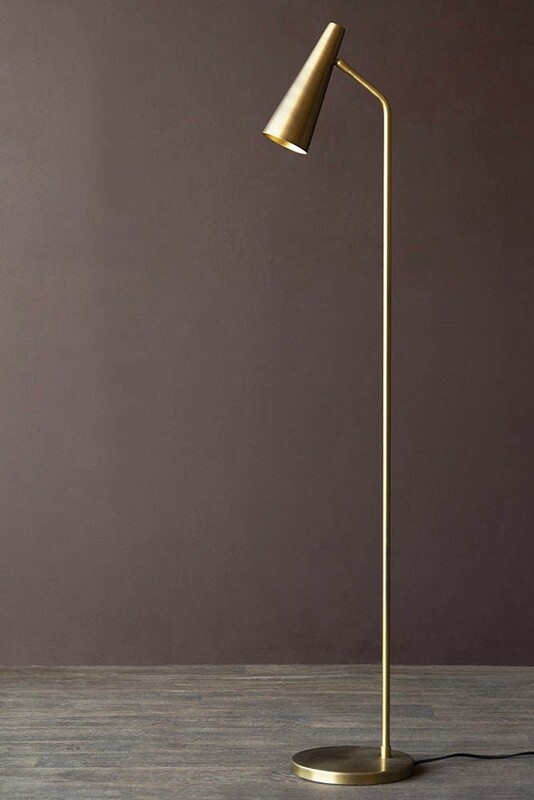 A beautiful sculptural piece we think you will love how easy it is to incorporate the Contemporary Brass Floor Lamp into your interiors giving your home décor an enviable modern edge. 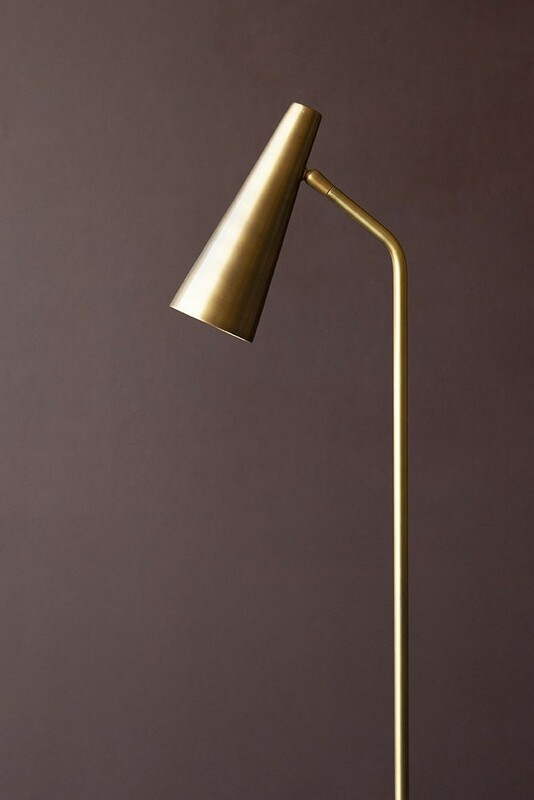 An ideal lighting choice for industrial style interiors or any décor style that is in need of the trans-formative effect of warming brass finishes on the home this task light is perfect for illuminating corners and nooks in your home. So, an ideal space to style this art-inspired floor lamp is by your statement sofa or armchair. Ideal for when you are kicking back and relaxing whilst sipping cocktails, reading books and magazines or catching up with friends and family.